Pardon us while we shake the glitter from our hair—and handbags. Our top highlights included watching Petra Flannery nab Stylist of the Year, the coveted title sponsored by yours truly. To put our own special mark on the evening (well, besides our logo on the step-and-repeat), we invited some of our favorite influencers to join us. Fashion writer and blogger Louise Roe of Front Roe positively glowed in Victoria Beckham—plus adorable baby bump. Brittany Xavier brought her usual dose of LA cool to the table, while Sydne Summer, Sheryl Luke, Michelle Tractenberg, and Sazan Hendrix of Sazan (also rocking a picture-perfect baby bump!) showed up carrying our brand new Sandrine clutch in colors and textures of their choosing. The Sandrine won’t be available until early 2018, but here are some images to inspire you (how gorgeous is that green??). Plus, more behind-the-scene peeks from our star-studded night! Posted on October 27, 2017 by Brahmin Handbags and filed under Events, Bloggers & Fashion and tagged InStyle InStyleAwards Events. The warm weather has finally arrived, and we are so excited to kick off summer. 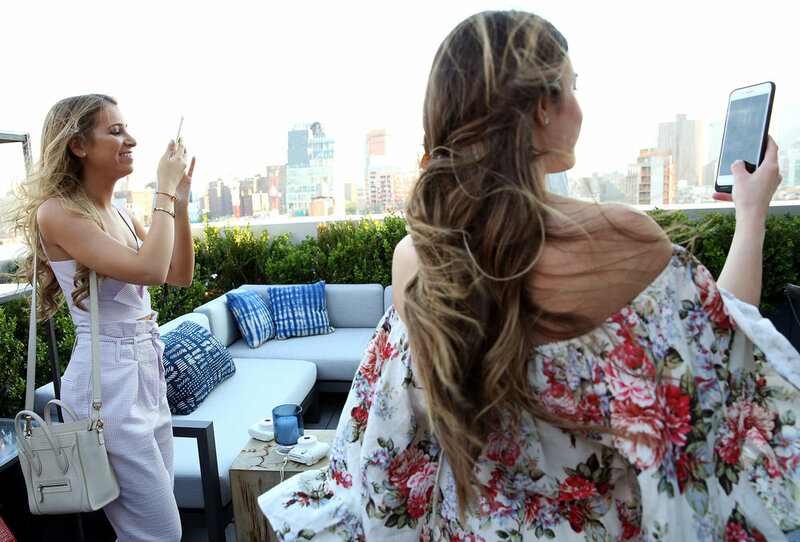 So excited, in fact, that we couldn't wait and threw a rooftop party with InStyle in New York City on May 17th to welcome the season a little early. Today we're sharing a glimpse into the event: the decor, the menu, the guests, and of course the bags! Summer, we are so ready for you. 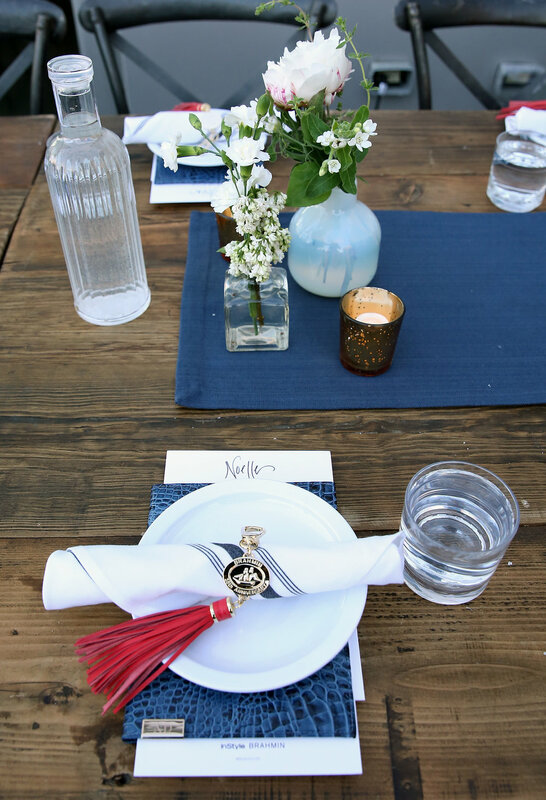 The tablescape was a festive red, white, and blue theme, and guests were treated to a monogrammed journal and 35th anniversary tassel. Mingling and chatting handbags with InStyle and some of our NYC blogger friends. Delicious bites, signature cocktails, and a mini cupcake display complete with sparklers ended the night in style. 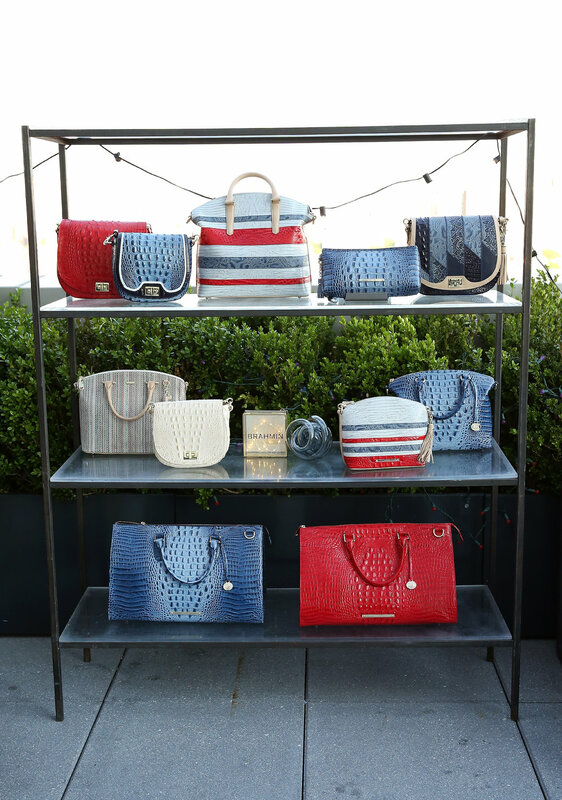 Which bag is your favorite for all of your summer festivities? Happy summer! 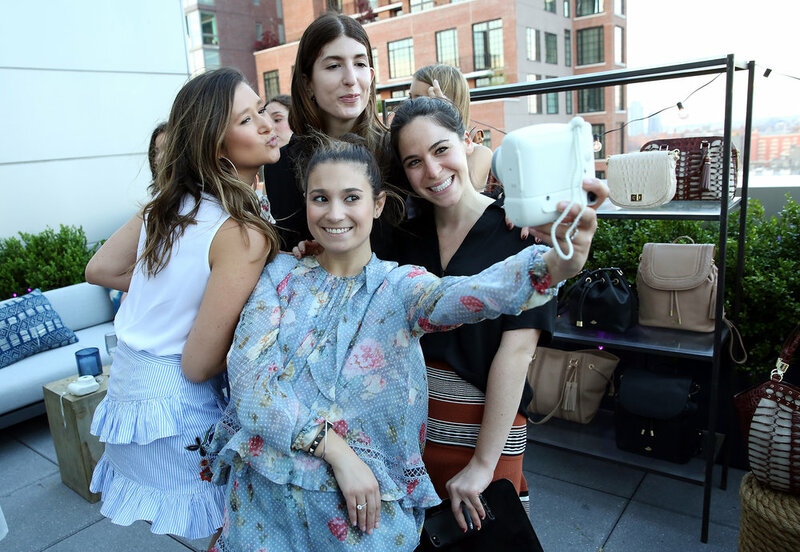 Posted on May 26, 2017 by Brahmin Handbags and filed under Events and tagged Summer 17 InStyle Blogger. 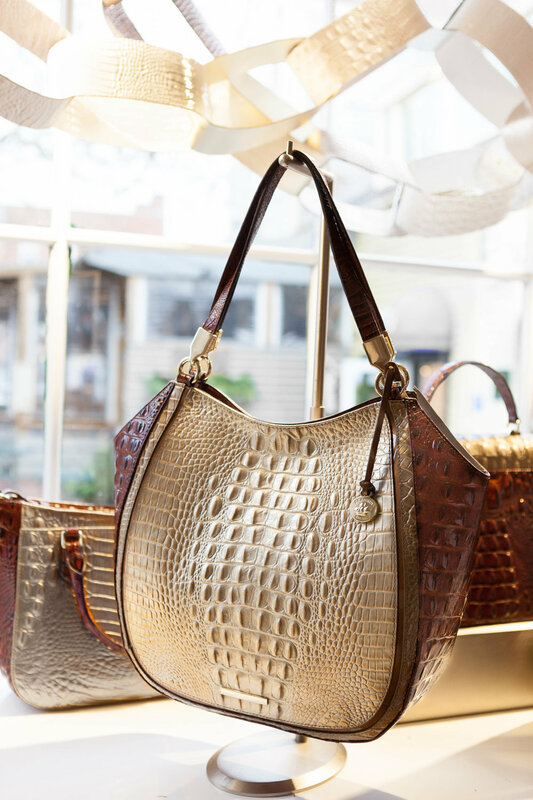 Thank you to everyone who came out to our Brahmin boutiques last week to celebrate fall fashion with us. 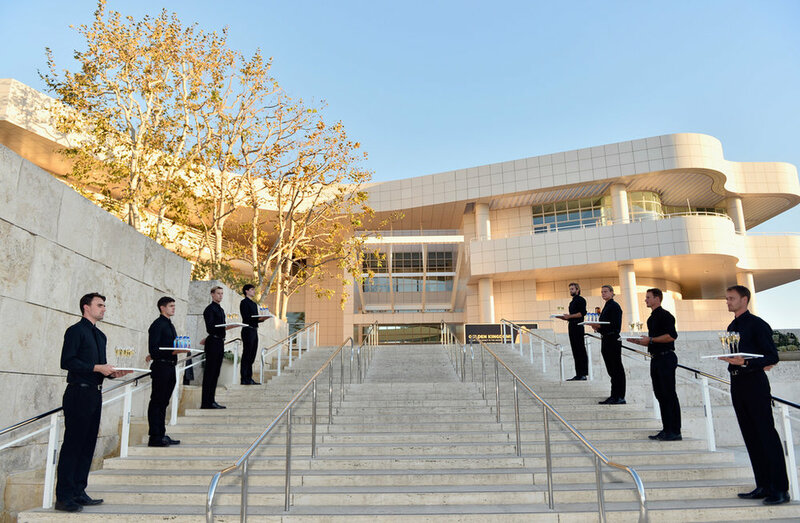 We had a blast, and from the photos circulating on social media it seems like you did, too! The evening started with some excitement as the first 10 guests to arrive received special gifts. Guests were also excited to shop our new fine jewelry collection (debuting online soon!) and to personalize their purchases through our new Monogram Shop (shop now!). Sipping champagne and nibbling on light bites made shopping all the more fun...doesn't it always?! Finally, each store gave away one free handbag to a lucky lady who made a purchase of $250 or more during the event…were you the winner? If you attended the event at one of our stores, did you spot yourself? Thank you for joining the fun! Posted on October 6, 2016 by Brahmin Handbags and filed under Events and tagged BrahminRequired Events Brahmin boutiques. 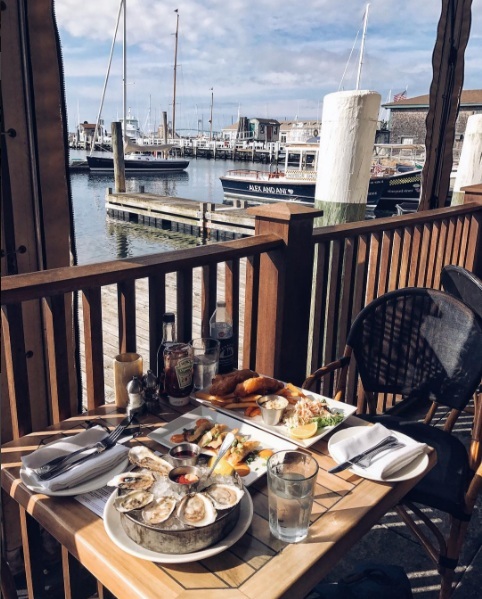 Our new Southcoast collection has made its grand debut, and it has been making quite the splash in the blogosphere and social realm. We celebrated the launch of this highly anticipated collection last week with an exclusive preview party in LA with InStyle and some of our favorite fashion influencers and closest friends. Since our blog fans are our favorites too, we are letting you in on the fun and sharing an exclusive peek at the party of the season! The hottest spot in LA at the moment, the rustic and trendy scenery provided the perfect backdrop for our cool, carefree collection. Local ingredients and globally infused dishes including lettuce wraps, zesty chicken, fresh and flavorful salads, and spicy panna cotta. Place settings were rich with lush leathers and beautiful blooms. Guests were treated to a Southcoast journal and napkin rings coordinated in the same soft, textured leather. Floral arrangements scattered the tables in soft whites. Thank you to everyone who helped us celebrate the launch of this exciting new collection, and thank you to all of you for sharing our enthusiasm! We love that you love the collection as much as we do! To see more behind the scenes photos, explore #brahminoffduty on Instagram. And don't forget to check out our Southcoast collection if you haven't already...we would love to hear what you think! Posted on May 25, 2016 by Brahmin Handbags and filed under Behind the Scenes, Bloggers & Fashion, Events and tagged Southcoast Brahminoffduty. Last week we officially opened the doors of our new boutique in the SouthPark Mall in Charlotte, North Carolina. 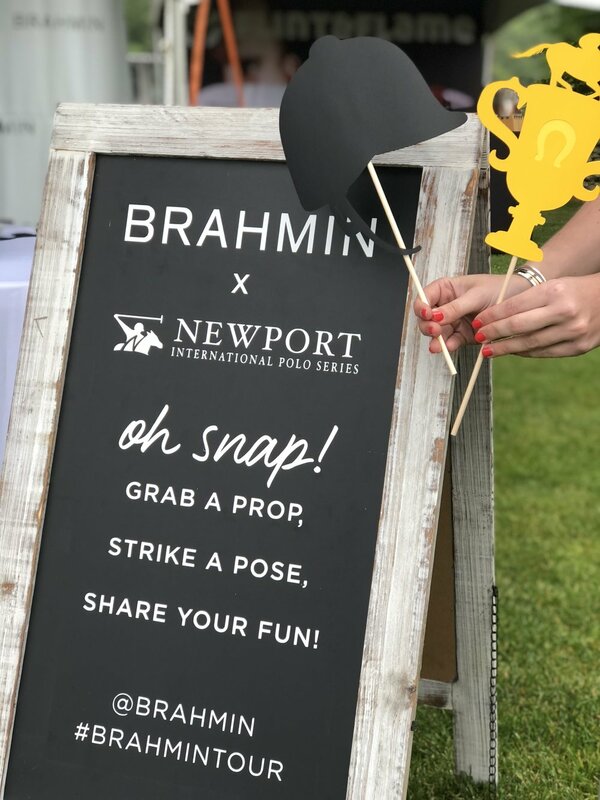 We celebrated with an exciting Grand Opening event, welcoming the fun and fabulous Charlotte Community into a world of Brahmin. Here are some highlights from the evening. The boutique debuts Brahmin's first all-new store design, featuring contemporary displays and textured details that pair perfectly with our exotic embossed leathers. The store has traits of a cozy living room, featuring comfortable chairs and a coffee table for guests to relax while they take a time out from shopping. Another exciting element of the evening was meeting Kandi, aka Charlotte's biggest Brahmin fan and her wonderful mother. Kandi (pictured right) was the winner of our Facebook Contest where Charlotte's most enthusiastic Brahmin fan received a special shopping experience. The night was so much fun. 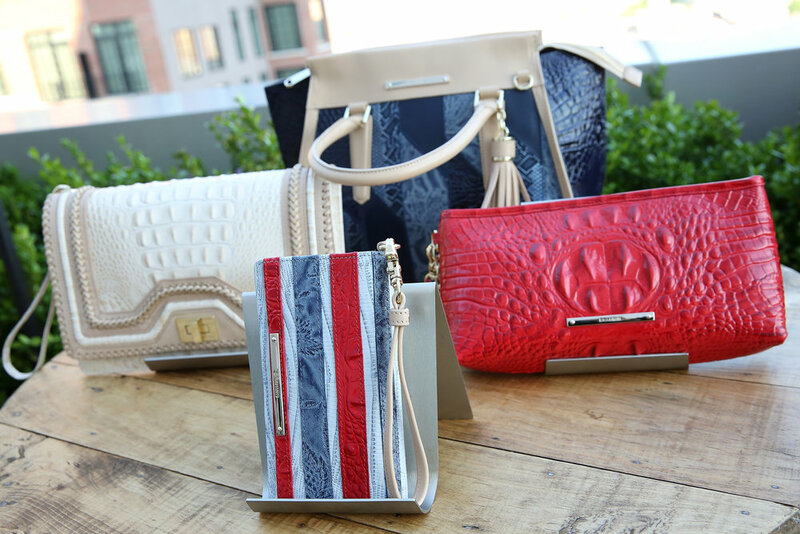 As always, we loved meeting our guests and seeing all their beautiful Brahmin bags that they wore to the party! 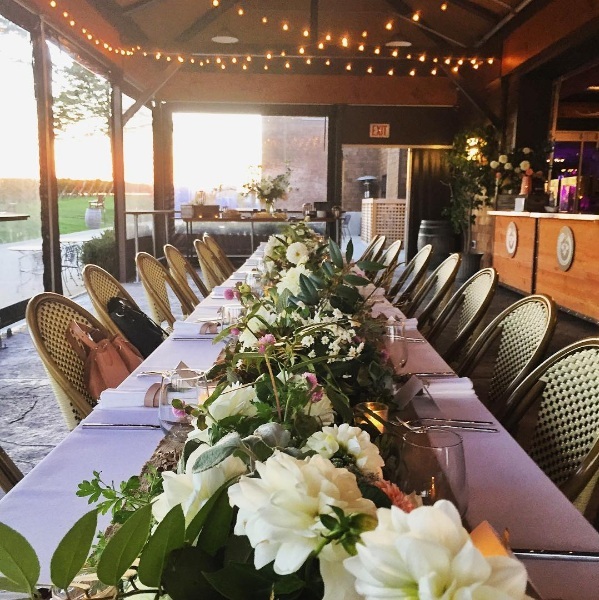 The night was co-hosted by two of Charlotte's most lovely fashion and lifestyle bloggers, Summer of Simple Stylings and Emily from Life with Emily. Thank you to everyone who joined us for the Grand Opening, we hope you had fun and enjoyed our new store and new collections. Posted on October 29, 2015 by Brahmin Handbags and filed under Events. 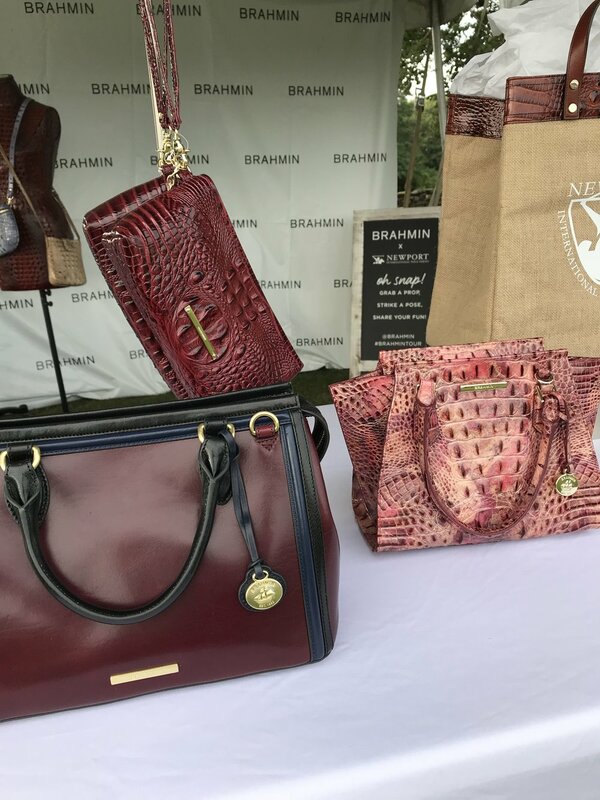 Over the weekend our founder and Leading Lady Joan Martin was in Houston and Baton Rouge styling fans with handbags from our new Fall collection. First she appeared on Great Day Houston to highlight a few of her personal favorites (here) and then she visited Dillard's to celebrate Brahmin Week. During the event, shoppers received a custom bag fitting with Joan find the perfect handbag for their shape. Joan also signed handbags for fans and helped select personalization items like leather roses and tassels. Posted on August 25, 2015 by Brahmin Handbags and filed under Events.